Meatless Monday is a global movement that everyone can join – and enjoy! It’s easy, inexpensive and a chance to make a really make difference. Read more and find recipes. 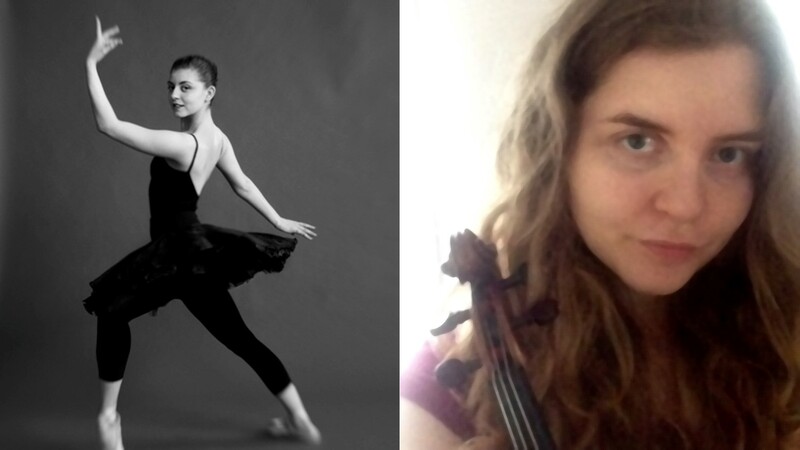 On Easter Sunday, April 21st, 2019 at 4:30 PM, violinist Sofia-Marie Bergeron, classical dancer Paola Bergeron and organist Francine Nguyen-Savaria will present “the Neighbours,” a collaboration between the three childhood friends... and neighbours. The majority of the programme will be dedicated to violin and organ music, and Paola will choreograph a few pieces. A reception will follow. Admission by donation . 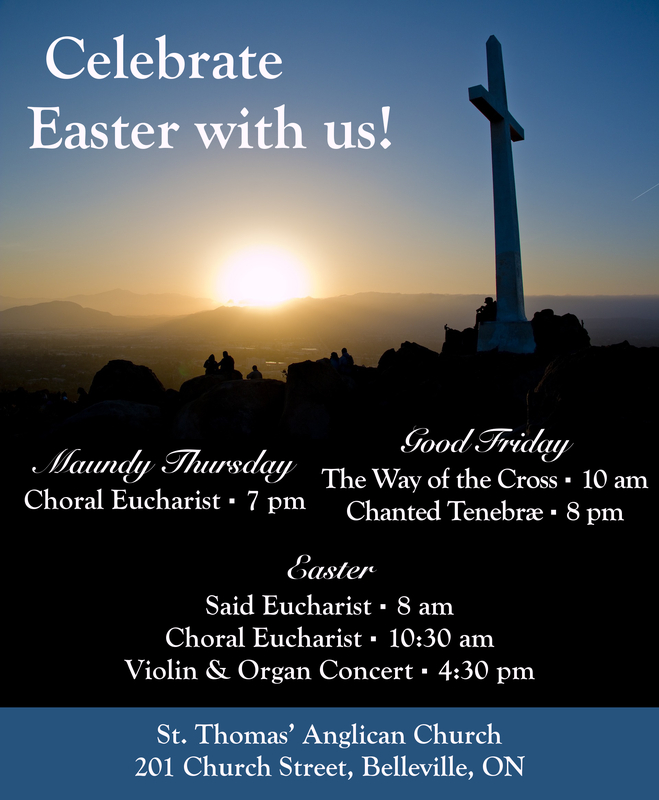 At the beginning of the new year, there is an opportunity for children and adults to join St. Thomas’ Choral Academy. 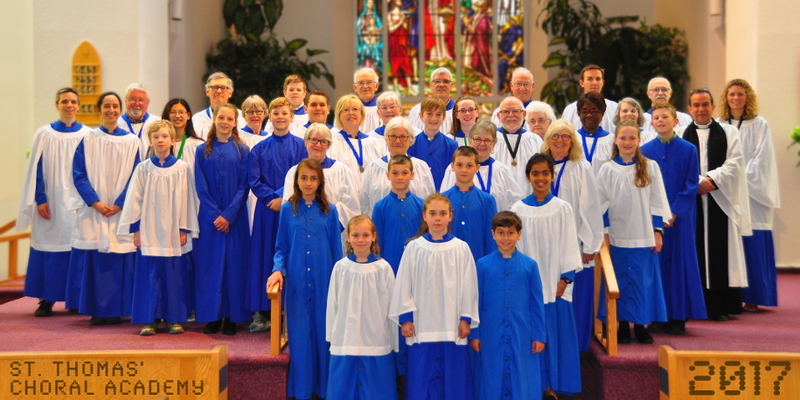 Potential choristers must willing to be challenged, whatever their level is (beginner, intermediate or advanced), and must have the discipline required to practise every day even if for only a few minutes. Learning music is similar to learning a language, and requires daily practice in order to improve at a decent speed. Potential choristers must meet with the directors of music before joining the Choral Academy. They are always pleased to receive enquiries from potential members of the Junior & Senior Choirs. To book an appointment or for more information, please contact them by email or by phone at (613) 962-3636. ST. THOMAS' & ST. PAUL'S BICENTENNIAL COOKBOOKS! The remaining Cookbooks are available for sale at $15 each on Sundays after the 10:30 service or in the Church Office. Please stay current with proper kitchen safety and practices. The Kitchen Manual can be found as a download in the Resource section of this website. This should be read periodically by all users to keep updated. Any questions should be directed to the church kitchen management team. This is important for insurance purposes. Education sessions for those requiring supervisor training or those wishing an update will be held as needed. Please give your name to the office and the Kitchen Team will get back to you with the time of the next session. The education only takes about half an hour, but it’s a vital part of our compliance with local health and safety regulations, now that we have been approved to cook and serve food to the general public. Register for training through the office by phoning 613 962-3636 or emailing office@stthomasbelleville.ca. which is a part of the Anglican Church of Canada ,. a province of the Worldwide Anglican Communion .